Just as in America, the crucible within which computing grew in the United Kingdom was the scientific community. At a certain critical juncture, though, the British video game would become something subtly different to its mainstream American counterpart. Video games would become computer games. It’s not that there weren’t home computers in America that could run games. The Commodore PET, the Apple II and the TRS-80 spring immediately to mind. It’s more that the console culture of the Atari 2600 era didn’t stick here in quite the same way. It sold well initially, but a downturn in the economy after 1980 (and with retail price of $199 – $826 by 2018 prices – it wasn’t cheap) slowed sales just as they might otherwise have gone stellar with the release of the officially-licensed Space Invaders cartridge, which took place that year and quickly became the 2600’s “killer app” elsewhere. Britain’s love affair with home computing began in 1980 with the ZX80, and it gives an idea of where Sinclair Research, it makers, anticipated their audience being that it was listed for sale at £99.99 fully built, or £69.99 in kit form. This was primarily intended as a hobbyist machine, incapable of doing very much, with just 1kb of RAM and a screen image required to be completely refreshed with every line of code. The following year came the ZX81, a mite more sophisticated than its predecessor (and £20 cheaper), and it also had the optional adding of more memory, boosting its RAM from 1kb to 16kb, though it didn’t, like its predecessor, have any real graphical capability or sound. This didn’t prevent the ZX81 from boasting a small number of games, though, and in 1982 one of those games was responsible for the birth of an entire style of game, which also turned out to be quite possibly the most important football franchise of them all. 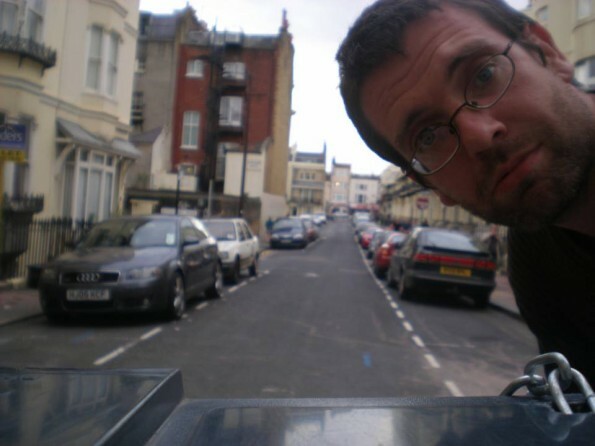 Kevin Toms was a twenty-something computer programmer from Paignton in Devon who wrote games on the side. In 1982, he started selling a game that he’d written called Football Manager under the name of Addictive Games. It was available on the ZX81, the ZX80, and the TRS-80, and it was a strategy game which made you the manager of a football club. Starting life in Division Four, you could buy and sell players – whilst having to keep an eye on the finances – pick a team, have to deal with injuries. Later that year, it was ported to the ZX Spectrum, which had been released that summer with colour, sound, and, in its more expensive iteration – which retailed initially at £179.95 – a considerably bigger memory capacity at 48kb of RAM. The game made its way into the high street soon afterwards. None of the Sinclair machines were particularly designed to be games-friendly. Clive Sinclair, who’d led Sinclair Research from its humble origins making transistors in a shed in Cambridge in the 1960s, wasn’t even really that keen on any of his machines being considered vehicles for gaming, and for several years after its launch third-party gaming peripherals such as joysticks could only be added with the help of adaptors. Football Manager, however, side-stepped this by being primarily in text and numbers. It was a type of game that suited the BASIC computer language that it was written in and the ease with which it was ported, by one man from home, testifies to that. To step into the managerial hot-seat in the original version of Football Manager is to step deep into the football world of 1982. The squad that you’re given – and you don’t get a choice over the names of the players unless you go into the game’s editor and change them yourself within the games main menu – will, whether you like it or not, contain, Phil Parkes in goal, Kenny Sansom, Russell Osman, Graham Rix, Kevin Keegan and Cyrille Regis, amongst aothers. Players are picked for the team on the basis of skill and fitness. Play them every week and their fitness levels will drop, and make them more likely to get injured. Having selected your team you progress to the match itself, which on the ZX Spectrum version is represented by highlights. There are no substitutions or tactics to talk of, just a series of goals and near-misses before your team’s final result is confirmed. Each goal is greeting with the word “GOAL!” in big, flashing, yellow and red letters. After the latest other results and the current league table are calculated (which is some way off instantaneous – computer owners in the early 1980s were used to having to wait for some things to happen, though), the manager is offered the chance to bid for one player. You only get one bid and there’s no particular logic behind whether your bid is accepted – sometimes you bid more than their value and get rejected, sometimes you bid under and it might be accepted – and you also have to have the money to pay for them, and you have to have the space in your squad to fit them in. To raise money and free up space you can sell players, or the rakishly minded amongst you can take out a loan to top up your money, though this has to be repaid as part of your expenses. In some respects, Football Manager is a reflection of early attitudes towards the ZX Spectrum. The Spectrum was, despite its rubber chiclet keyboard and oh-so-1980s black design with a diagonal spectrum cutting across one corner, intended to be a serious machine. It was for doing the accounts, typing up letters (though this wasn’t helped by the fact that the Spectrum’s first official printer required paper that was silver, resembling the toilet paper from Star Trek), and even rudimentary spreadsheets. Simulators were amongst the earliest games to be produced, and one of Football Manager’s early contemporaries was Flight Simulation, which was released by Psion Games on both the ZX Spectrum and ZX81. This game didn’t create a genre – that had happened with the release of Flight Simulator 1 on the Apple II in January 1979 – but it was an early big seller and an example of, one rather suspects, the sort of game that Clive himself would consider acceptable for his machine. Where Football Manager really succeeded, though, was in the space between the ears of the person playing it. At one end of the spectrum, you could go in and edit the names of all of the players and teams should you choose to, but the game also was basic enough for your imagination to run free within the confines of what you could see on screen, filling in the gaps of your own managerial career from this slender skeleton of events. This was not, of course, a stylistic decision, but the sparseness of the interface, the lack of frills, and the long waits for calculations to take place allowed the mind to wander almost seemed to be encouraging the player to jot down notes or to fill their imaginations with idle thoughts of running onto the pitch, Pleat-esque, at the end of a cup final or critical league game. Football Manager was also responsible something far less esoteric, as well, though. Football Manager created a genre. The idea of a football strategy game of this nature was without precedent, and not only this but it was written in a language that could be quickly ported across all the major systems of the time as well. Such simplicity does, however, come at a cost. We all know that imitation is the sincerest form of flattery, and Addictive Games found themselves very flattered indeed over the next six years by a glut of football management games – such as Football Director or The Boss – of varying degrees of quality. 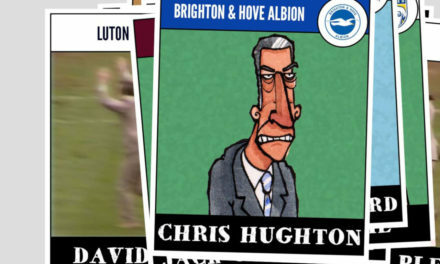 It took Toms until 1988 to come up with a sequel, the inevitably-named Football Manager 2, whilst he would also go on to spawn two further versions of the game, stretching into the 1990s. By this time, though, the ZX Spectrum’s slide towards obscurity had reached critical mass. But if we accept that the current iteration of Football Manager has influenced professional football – and it’s not difficult to create a case for this – then we have to accept that Kevin Toms’ game was the original birthplace of something which has influenced professional football in an extremely profound way. The Electronic Arts series of FIFA games has influenced the aesthetic of the professional game, of that there is little doubt. The graphics you see when watching a Premier League match on the television aren’t just designed by EA; they’re the same. Elsewhere, the media landscape is being rewritten on YouTube through the FIFA series, and its champion players are becoming major celebrities. For all of this, though, FIFA’s relationship still feels more tangential than the growth of an increasingly statistics-oriented football culture – at which Football Manager sits right at the heart – which has come to alter ways in which we all think about the game. It’s a hell of an achievement for a twenty-something programmer from Paignton, to have given birth to that. Despite the talk of the ZX Spectrum being a serious machine, though, it is best remembered for its games, nowadays. By going directly to the machine code, programmers were soon able to develop increasingly complex and sophisticated games for home computers. There was fevered talk in the tabloid press of nineteen year-old millionaires who’d got rich off the back of the sales of one or two games, and a cottage industry soon started to industrialise, just as it had from the outset in the United States of America a decade earlier. But there was one significant difference between the developments of gaming cultures on each side of the Atlantic. The Spectrum wasn’t the only game in town. The Commodore 64 arrived at the end of 1982. It had considerably better sound, a bigger memory and a better keyboard, but it was also considerably more expensive. There was also the BBC Micro, the Acorn Electron, the Amstrad 464 as well as other Commodore machines. But the Spectrum was the biggest seller in the UK, and much of the software remained UK-centric in line with this. In this curious petri dish a strong British identity revealed itself, one punctuated by the humour of Monty Python, the writing of Terry Pratchett, and by the spirit of children’s comics such as the Dandy and the Beano. In the world of football games, this period would be marked by considerable experimentation, including many variations which died upon their backsides. Some degree of wastage is inevitable, though, and without those who did experiment we might never have found the versions that did work. The rest of the 1980s in Britain would see experimentation, failure, mediocrity and even a hint of scandal in this one type of game alone.